On occasions, sometimes you may get tempted into indulging in lots of not-so-healthy foods and nonsensical amount of cocktails,..…and hey it can happen with most of us! If at all it happens with you, my suggestion would be not to stress about having gone off track. Here is good news for you! Adding super foods to weight loss smoothies is not only a great way to lose weight, but also a trick to provide lots of nutrition to your body, which it critically needs to get you back onto the track. 1. Vegan Chocolate Weight Loss Smoothie: Here is a smoothie recipe, which is loaded with greens and has extra nutrition punch from super foods like Probiotics, Chia Seeds, Cacao Powder and Coco Ceps. I hope you will enjoy this smoothie, as it amazingly tastes like a Reese’s Peanut Butter Cup with additional bonus of great health benefits. It will make easier for you to get back onto the track!! Method: Combine ingredients in a smoothie maker, run it until smooth, and enjoy immediately. Voila… so simple! 2. 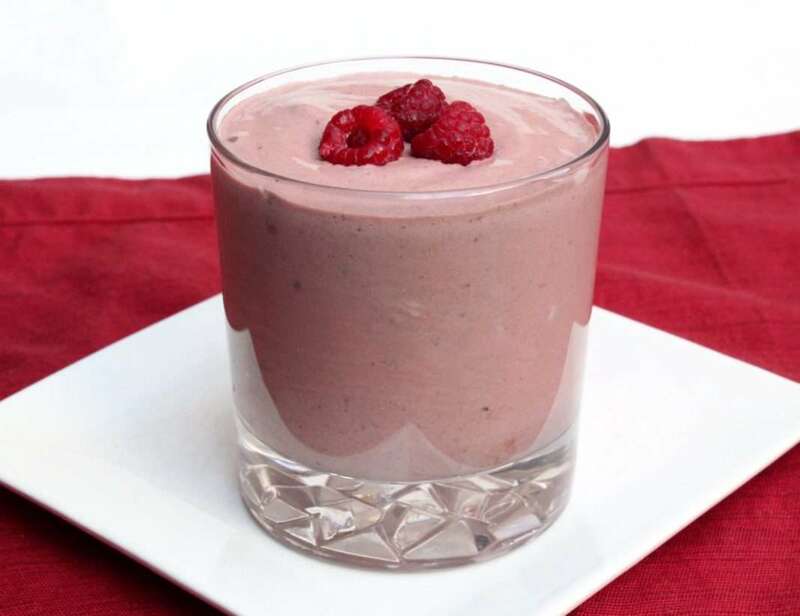 Chocolate Raspberry Smoothie: This weight loss smoothie is packed with refreshing raspberries and MUFAs (monounsaturated fatty acids)— the effective flat belly potent ingredient that targets stomach fat. You can have this in breakfast, lunch, or as a snack. Method: Mix everything in a smoothie maker, run it until smooth, transfer to a glass and relish with a spoon! Have you ever tried any chocolate version of weight loss smoothie? If yes, please share your recipe with us here under the comments below..